What Are Some Common Causes of Motorcycle Accidents? While they aren’t any more common than an automobile accident, the injuries that are a result of a motorcycle accident can be much more serious. 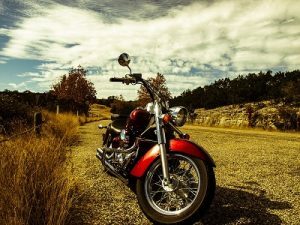 For this reason, it’s beneficial for motorcycle riders to hear and understand some common causes so you can avoid them. The most common cause of fatal motorcycle accidents is from head-on accidents with cars. While cars turning left can cause accidents between two cars, because motorcycles are smaller, they are less noticeable to cars. Unless the motorcycle was speeding or in a wrong lane, the car is usually at fault when it comes to left turns. Like any car accident, a big factor for motorcycle accidents are speeding and the use of alcohol. When operating a motorcycle, riders should be on the lookout for objects like trees or poles as this causes about 25% of deaths. Because motorcycles are smaller, it decreases its’ stability and can make road hazards much more dangerous. Hazards like potholes, wet pavement, dead animals, etc. can be extremely dangerous for motorcycle riders. Knowing of these causes and how you can prevent them is a great way to decrease the amount of motorcycle deaths and injuries we see. If you have been involved in a motorcycle accident and are looking for legal help, contact Attorney Stephen M. Forlizzi today. Fill out our online contact form or call 978-739-4898 for your free consultation. ← What Are Personal Injury Protection (PIP) Benefits?